Edward O. Thorp is a truly incredible man. Despite being relatively unknown outside of the academic domain, Thorp, a product of the Great Depression, is the pioneer of probability theory, a master of the stock market, and was a vital participant in the downfall of notorious fraudster Bernie Madoff. But what Thorp is most renowned for is triggering a gambling renaissance that would revolutionise the way casinos would forever work around the globe. A fine mathematician, Thorp’s true love didn’t come in the form of numbers, but in the form of blackjack. In 1962, while working as a professor of mathematics at New Mexico State University, Thorp wrote the book Beat The Dealer which quickly became the first piece of casino literary work to earn a place on the New York Times bestseller list. By the early 60’s Thorp had already become a cult figure in gambling circles after his applied research on blackjack and baccarat tables made waves in the casinos of Reno, Lake Tahoe and Las Vegas. However, his new book was to become a cultural phenomenon and would go on to change the game – Beat The Dealerwas the original ‘card counting’ manual. Card counting is perhaps the most famous and effective method of beating the casino using ‘Advantage Play Gambling’ (using the innate characteristics of a game to the players advantage), but there has been an assortment of other successful and unsuccessful approaches down the years too. Author Frank Scoblete swears by throwing a dice in a certain way to alter the odds of craps in the players favour, professional poker player Phil Ivey was sued by a London casino in 2014 for using the advantage play technique ‘edge sorting’ on baccarat, while the practice of ‘shuffle tracking’ in blackjack has had many a book written about it. Forever and a day, gamblers have always wanted to find a way to take down the house and find the games to play where the Return to Player (RTP) is most in their favour. Traditional table classics are still the go-to games out there for players looking for short odds, but as the years tick on by, the slot machine makers are creating games that are getting mighty close. 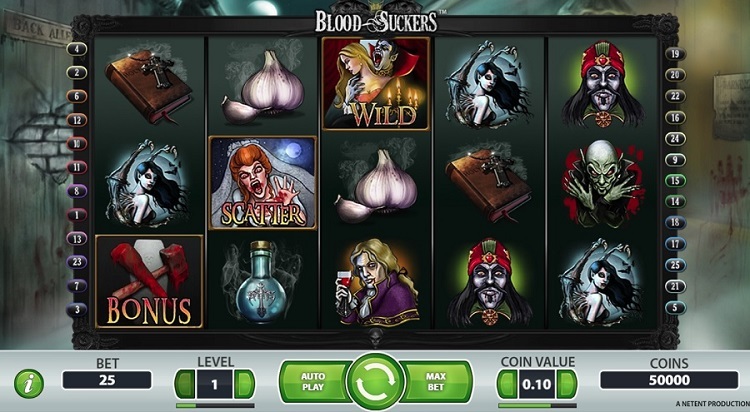 Blood Suckers is the only true 21st century slot game on this list, but you know it’s going to be good because it’s made by the Kings of the genre – Net Entertainment. But even for a Net Ent production, Blood Suckers is one hell of a game, though it’s definitely not for the fainthearted because, legitimately, it’s pretty freaky. Played upon the backdrop of a skittish, jittering soundtrack of blowing wind, screams, belching and creaking doors; being fully immersed in this slot is like being fully involved in a horror film. But to ease the fear, the wins do come around pretty often and pretty big (as you would expect with the house edge being so low). “What the hell is Pai Gow Poker?” I hear you roar. Well, it’s basically an Americanised version of Pai Gow. Oh, you don’t know what Pai Gow is either? Well, it’s a really famous Chinese gambling game with dominoes that’s played around the world including in the casinos of Las Vegas and New Jersey. 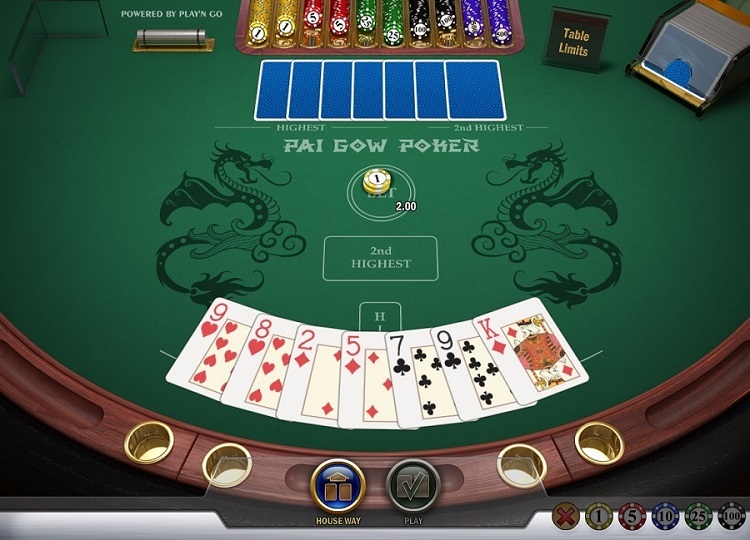 Though Pai Gow is one of the oldest casino games around (older than both blackjack and baccarat), Pai Gow Poker was only invented back in 1985 by a cardroom owner in Los Angeles. The American variant of this historic game is very much like poker – poker ranking rules are followed – but you initially start with seven cards and every hand you play you have to separate into a hand of five and a hand of two. The two hands will then be compared with the dealers two hands and the higher poker value wins. If the player wins one hand and loses one, then the bets shall push. Played with the optimal strategy, Pai Gow Poker’s house edge stands at 1.46% but for players who are new to the game, a lot of reading is required to master the art of this Chinese / American hybrid. 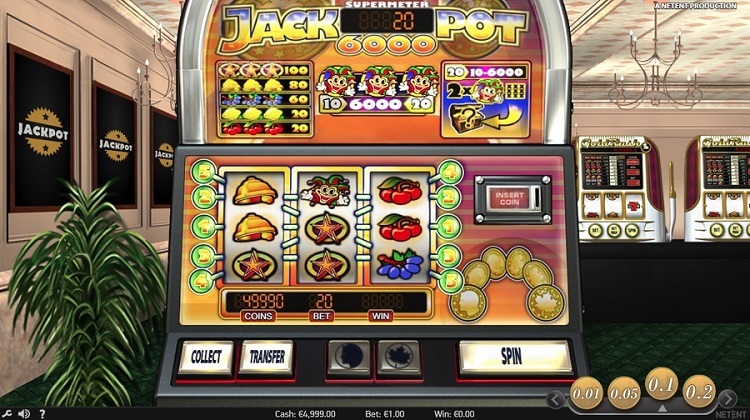 Jackpot 6000 is an old-school, three-reel, back-to-basics fruity made by, you guessed it, Net Entertainment. Fruit machines traditionally vary between 85-97% RTP on and offline, but Jackpot 6000 is out there on its own at an amazing 98.9%! The game itself is pretty standard, it’s just for those who love their fruit machines, and if that’s you then there’s just no reason not to take advantage of this ridiculously low house edge. 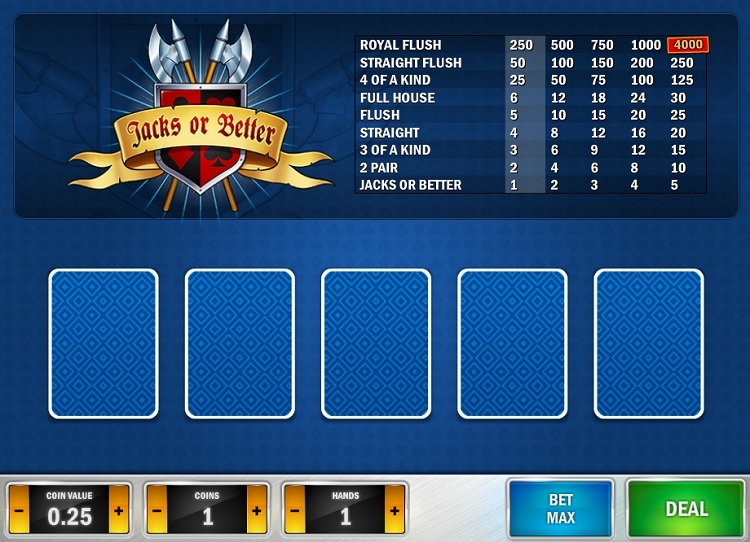 Jacks or Better, or Draw Poker, is a variant of video poker and is another game that requires a strategy to be memorised so that the house edge stays right down low. The rules of Jacks or Better are just the same as any other kind of five-card draw poker game so the likes of a Royal Flush, a Flush, a Full House, a Straight are just the same as what you’d come to expect when playing normal poker. However, there are a few little modifications. Jacks or Better is the most common variation of five-card draw video poker out there, so finding a casino that has it on their premises definitely won’t be a problem. But make sure you have a good read of the rules before you have a go so you can take full advantage of that beautiful house edge! And here is our winner! Is that what you expected? No? Standard blackjack is incredibly favoursome to the player, and though some of you may think I’m talking absolute twaddle when I say that, it’s only so favoursome if the perfect strategy is played. So if you want to start winning more at blackjack then you’re going to have to start doing some readingright away! The rewards are obvious, and actually, it’s quite straightforward to get the hang of. Plus, testing it out online is ideal because there is no social pressure and no time limit, so you can check your notes to make sure you’re making the right move. 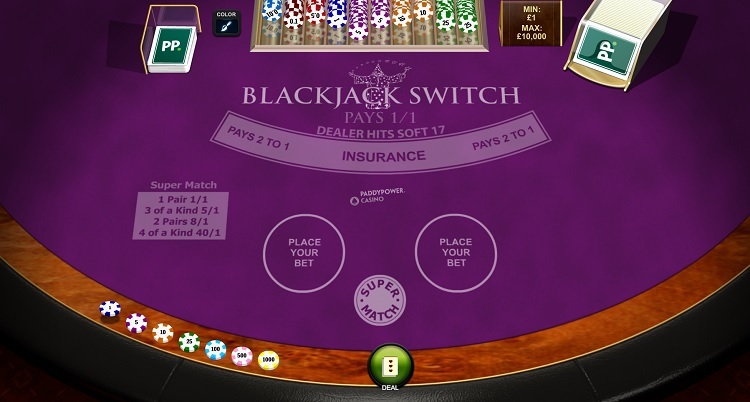 What’s even better about playing blackjack online is that there’s so many variants, you’ll never get bored, like for example 21 Burn Blackjack, Lucky 7 Blackjack and the two versions with exceptionally low house edges – Spanish Blackjack and Blackjack Switch. Spanish Blackjackis very similar to traditional blackjack though a Spanish card deck is used, and Spanish card decks don’t include 10’s which lessens the odds for the player. However, to counteract that when a player arrives at 21 they alwayswin. There are a few other little rule variants too. But the daddy of them all is Blackjack Switchwhich pays out at 99.8%! This blackjack variant was invented by a card counter who became frustrated at being dealt two weak hands, so as a result, he designed Switch. With Switch you must alwaysplay two hands, but you have the ability to switch your top two cards between pairs. There’s a few other little caveats involved, but Blackjack Switch is thecasino game to play if you want the best chanceof winning!